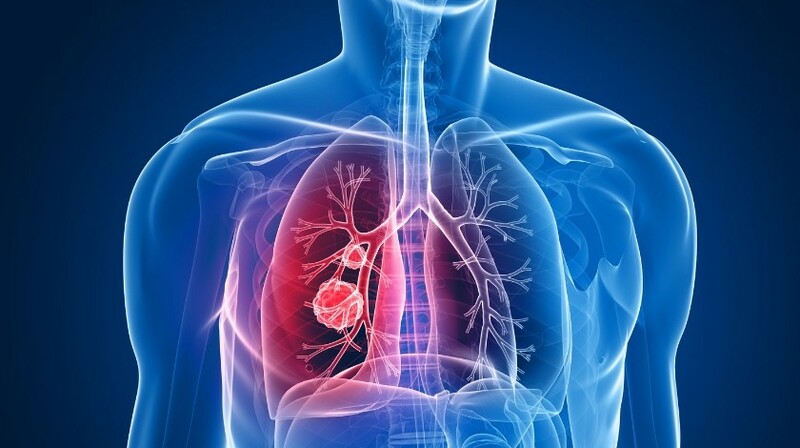 Non-small-cell lung cancer (NSCLC) is the main cause of cancer-related death worldwide . In the last decade, new treatments improved the survival of patients with advanced NSCLC and especially of those with adenocarcinoma [2–5]. For patients with advanced tumors harboring activating mutations in the EGFR, targeted agents called EGFR tyrosine kinase inhibitors (EGFR-TKIs) may provide a median overall survival (OS) of approximately 20 months [6–9]. Despite these improvements, few developments have emerged in the treatment of NSCLC with squamous histology, especially after failure of the first-line chemotherapy . A new class of drugs, called immune checkpoint inhibitors, has emerged as promising therapeutic options for these patients . As a general model, tumor cells acquire several mutations during their development. These mutations may enhance aberrant proliferation and confer tumor cell ‘immortality’. At the same time, some of these mutations produce aberrant proteins on cell surface that can serve as neoepitopes recognized by the immune system . Not all tumors have the same burden of somatic mutations and it is believed that the higher tumor burden leads to higher immunogenicity . Squamous and nonsquamous NSCLC as well as melanoma have the highest burden of mutations among several solid tumors studied and they were the two cancer types to be treated with immune checkpoint inhibitors . The immune system is able to recognize and destroy tumor cells as well as pathogenic agents. Nevertheless, one of the hallmarks of cancer is its ability to avoid the immune system . Click here to view the full article in Immunotherapy.